The 16 solo shows include the work of the American photographer David Lachapelle who dissects fashion, pop culture, and gender, at the Staley-Wise Gallery (D40). 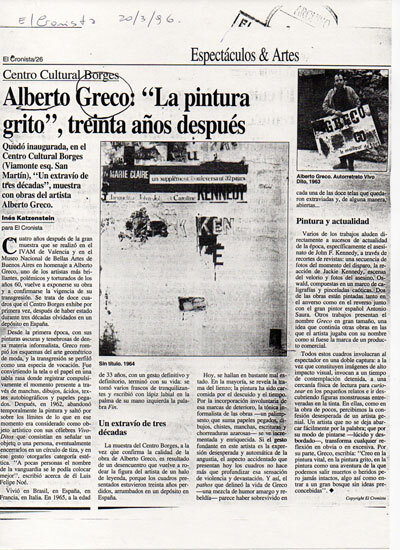 There is also Argentinian Alberto Greco, whose series Alberto Greco in Piedralaves marks a break in the conceptual art movement of the 1960s; master performer, he transforms his everyday life into a work of art (on display at the Del Infinito Gallery, D11). Caroline Smulders (A31) turns her attention to the American avant-garde, with Gérard Malanga, Andy Warhol’s principal collaborator from 1963 to 1970, showing for the first time a series of nudes began in 1975. Lastly, not to be missed is the series Mectoub—portraits challenging male identity in the Middle East and North Africa—made by Scarlett Coten, winner of the 2016 Leica Oskar Barnack Award.